Myers Auto Rebuild and Towing in Pullman, WA 99163 provides reliable and affordable service for Hyundai vehicles. Hyundai, the South Korean automaker, has been on a design renaissance as of late. They continue to move upscale, wading into the entry-level luxury market with great success. Buying a Hyundai means you buy a car that's reliable, stylish and luxurious without breaking the bank. Dedication is just one trait our well-trained automotive repair and maintenance technicians put into every repair or service they complete. Knowledge and experience helps our Hyundai service technicians complete a multitude of service tasks. Our team of technicians is ready to diagnose and repair any Hyundai vehicle problem you bring us. You can schedule an appointment today by calling us, Myers Auto Rebuild and Towing, at 509-334-1717. Myers Auto Rebuild and Towing has a staff of technicians and service representatives waiting to diagnose and fix your Hyundai whether it's a repair problem or a maintenance issue. Being without a car can be a pain, and we understand that. 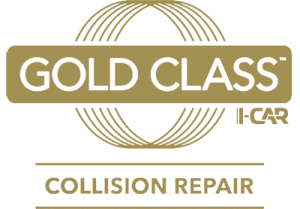 We'll get you back on the road as quickly as we can without compromising our repair quality. You can visit us at Pullman, WA, 99163, for a diagnostic, or call us at 509-334-1717 to schedule an appointment.